A weather-beaten opera company arrives to give a performance of Beethoven’s opera ‘Fidelio’ in the town hall and finds itself tangled up in a scam to offload worthless shares in the mine. When the mine unexpectedly yields up new treasures, melodrama starts to spill over into everyday life, reputations crumble and any notion of fair play is abandoned. 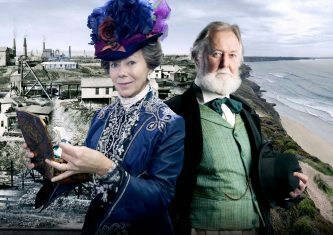 Made in Cornwall and based on a true story, Miracle Theatre’s feature film stars Jenny Agutter, Dudley Sutton and Ben Luxon – alongside Helen Bendell, Ben Dyson, Steve Jacobs, Dean Nolan, and Jason Squibb. This event is presented in partnership with FLIC.